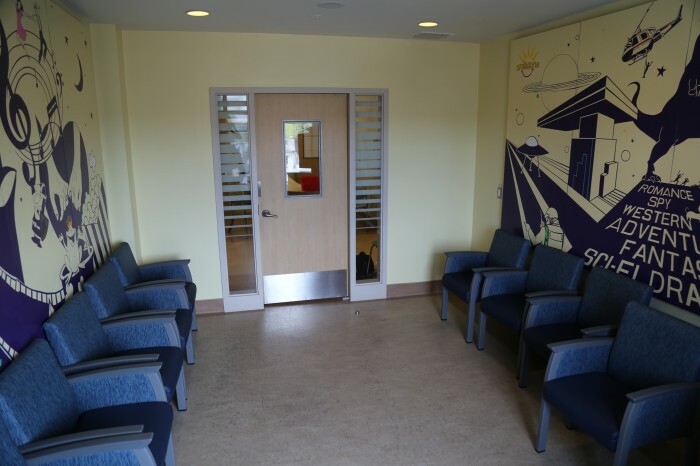 Over the weekend of July 27th-29th, 2018, the Smilezone team transformed 4 NEW SMILEZONES at the Centre for Addiction and Mental Health (CAMH) in Toronto, ON! 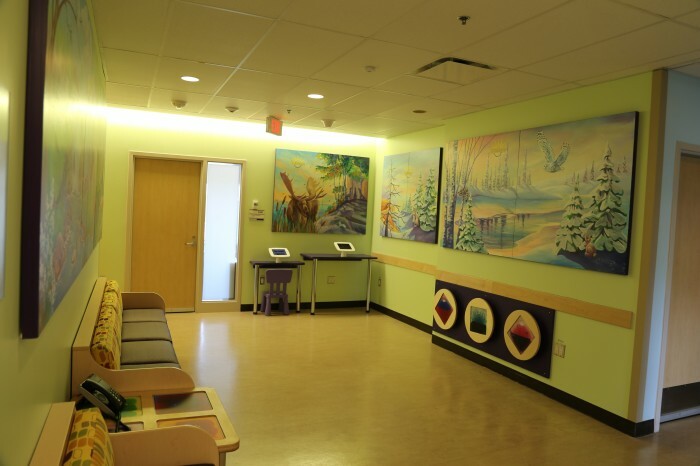 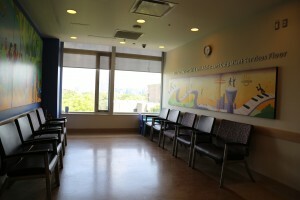 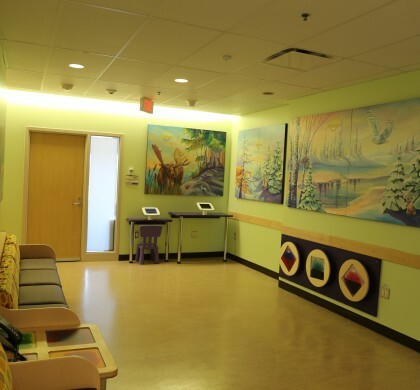 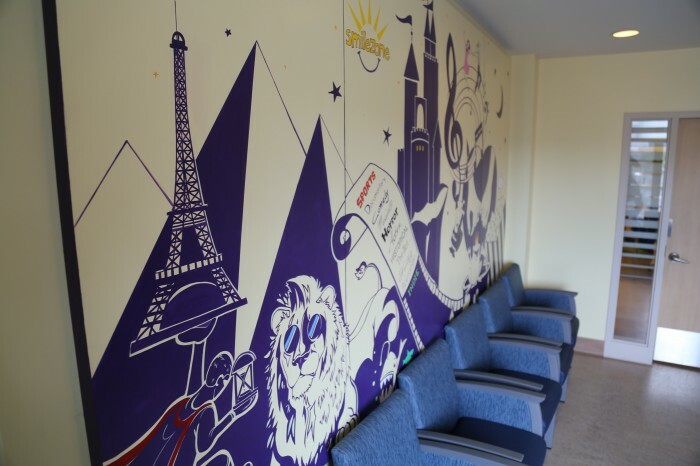 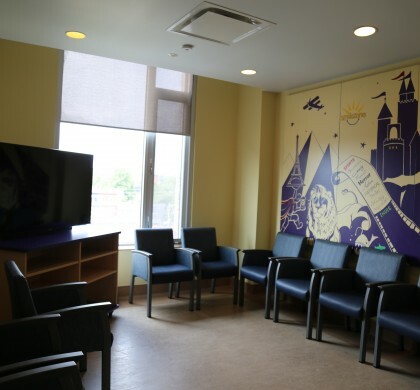 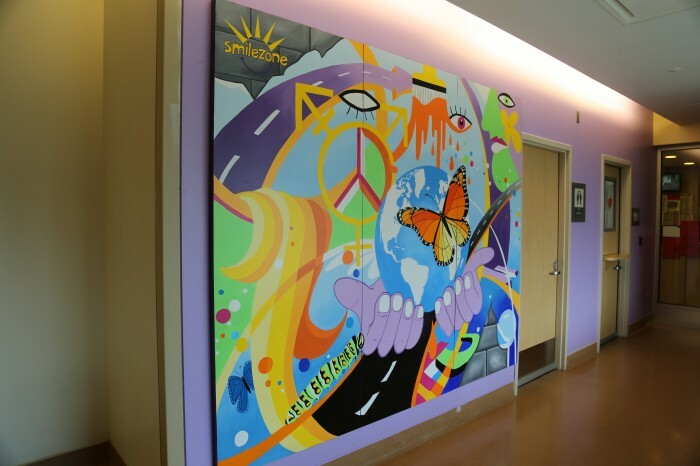 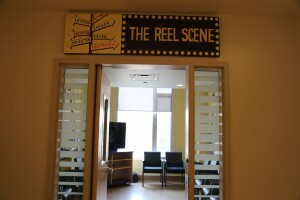 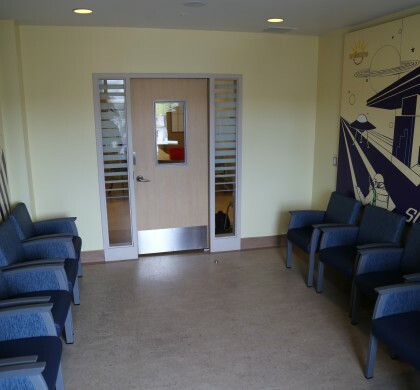 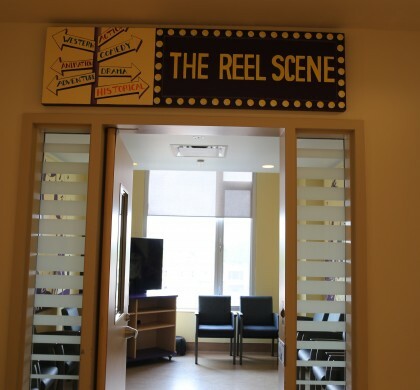 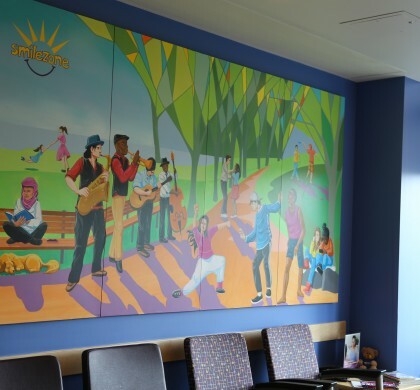 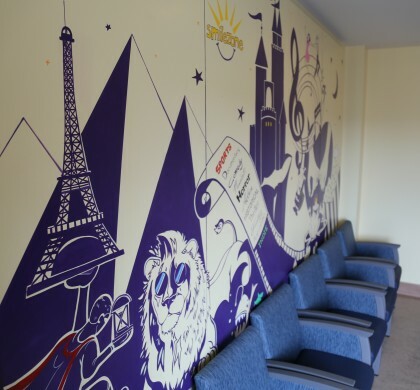 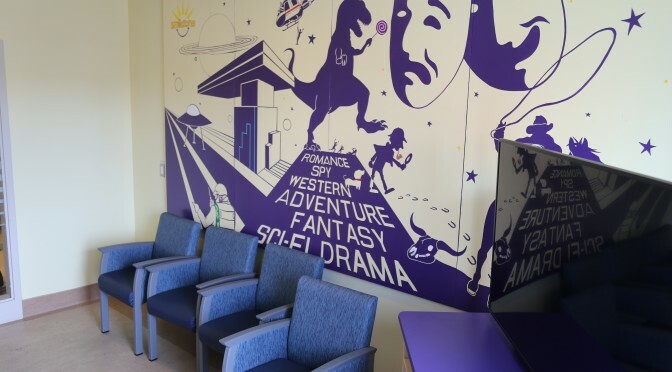 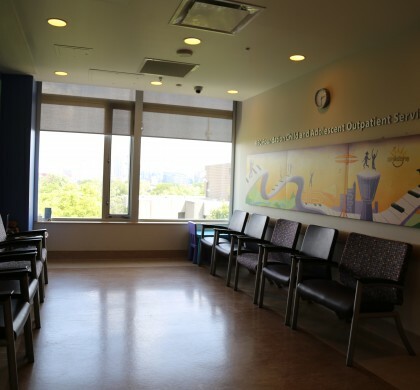 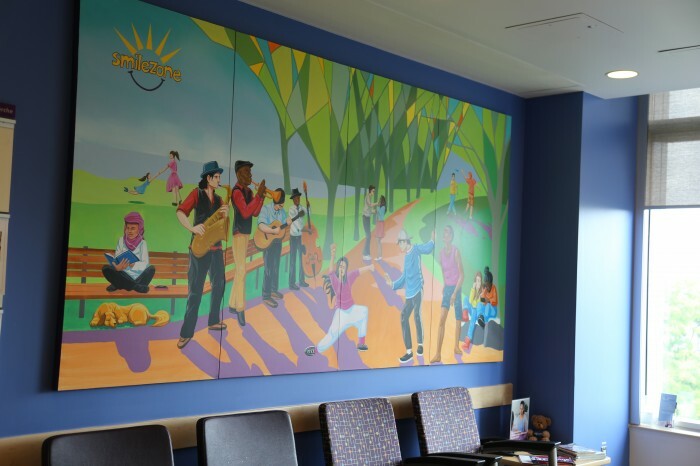 The new Smilezones at CAMH are located in the Intergenerational Wellness Centre, in the Youth Inpatient Unit TV Room and Hallway, and well as two Waiting Rooms in the Child and Youth Outpatient Wing! 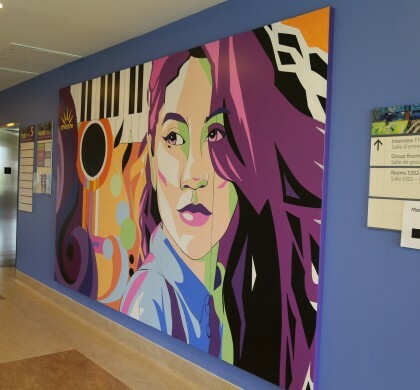 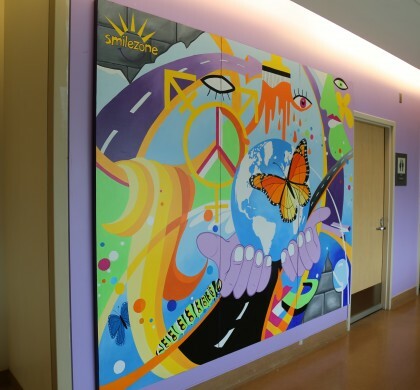 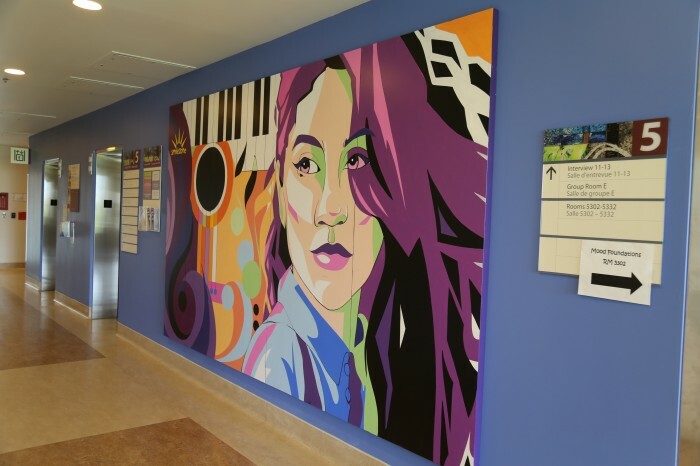 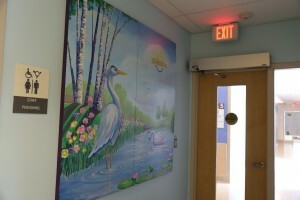 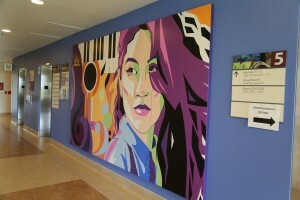 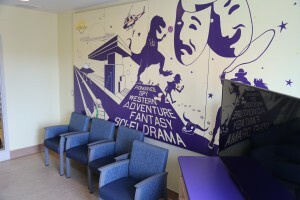 Bright, youth-friendly murals with a focus on music, movies, nature, graffiti, and inspirational themes! 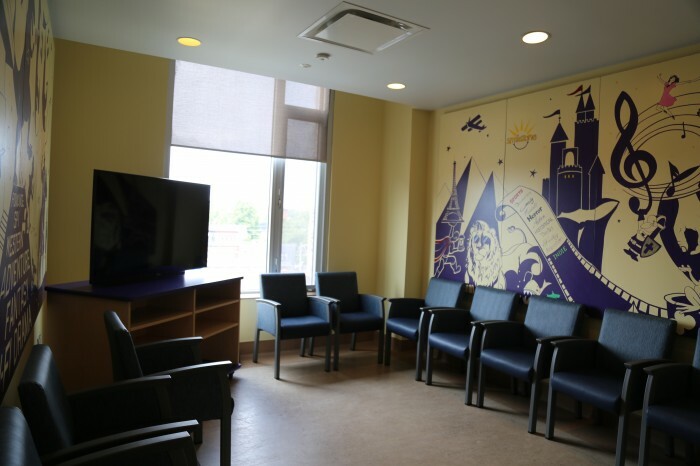 More than 1,000 children and youth will benefit from CAMH’s newly refurbished Smilezones, as well as their siblings, parents, and other family members. 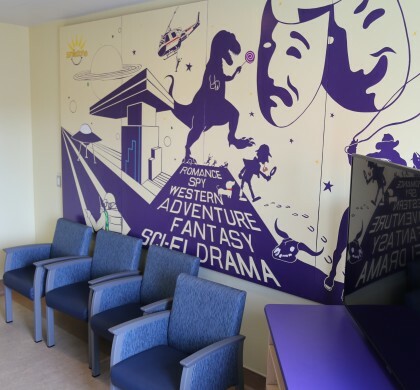 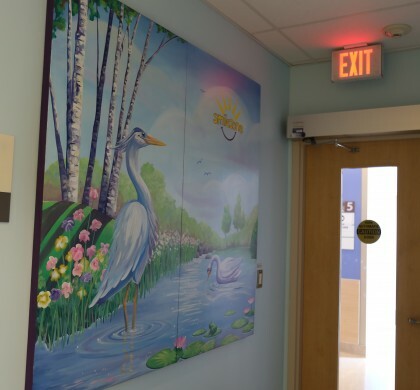 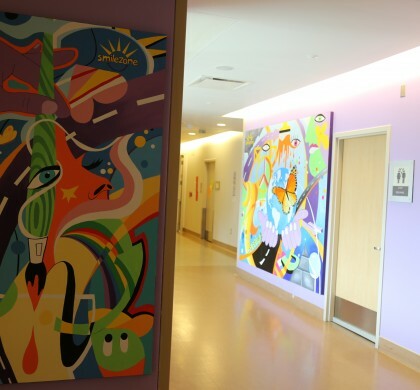 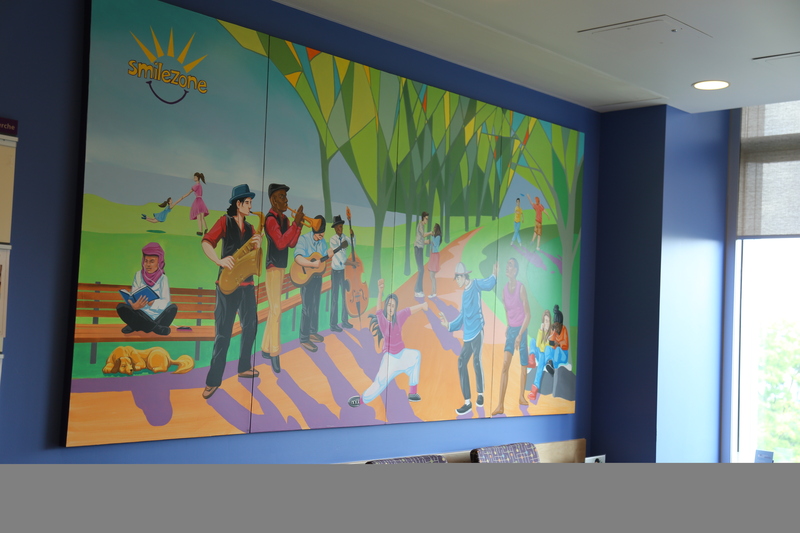 The Smilezone team worked closely with the clinical staff at CAMH to ensure the designs were a perfect fit for their patients. These Smilezones were generously supported by the Slaight Family Foundation, with strong ties and a long-standing relationship to CAMH. 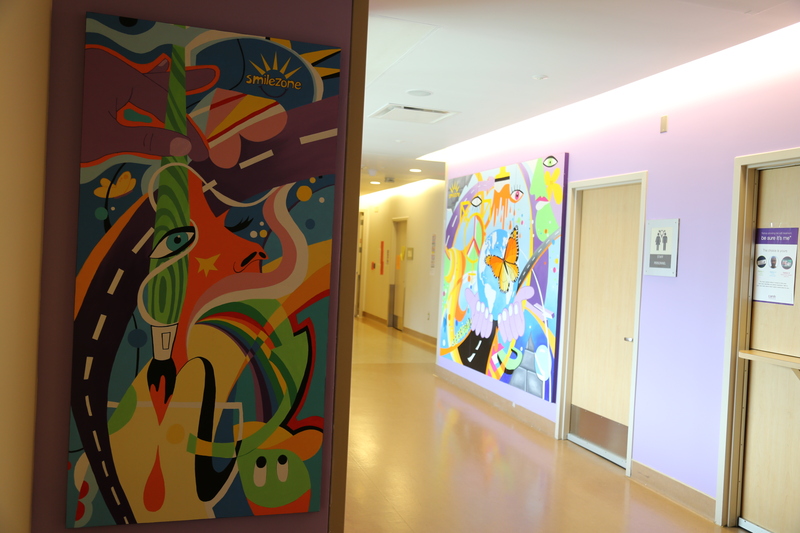 CAMH is Canada’s largest mental health and addiction teaching hospital and a world leading research centre in this field. CAMH combines clinical care, research, education, policy development and health promotion to help transform the lives of people affected by mental illness and addiction. CAMH is fully affiliated with the University of Toronto, and is a Pan American Health Organization/World Health Organization Collaborating Centre. 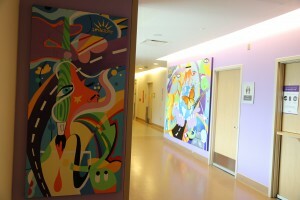 For more information, please visit www.camh.ca or follow @CAMHnews on Twitter.